Seattle : University of Washington Press, 1985. 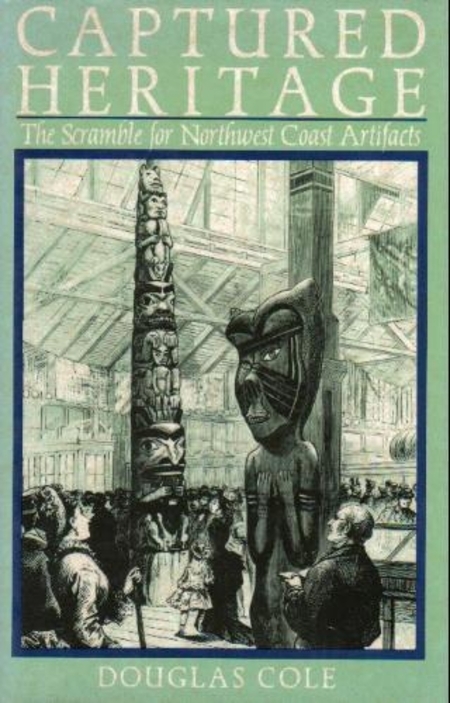 The heyday of anthropological collecting on the Northwest Coast took place between 1875 and the Great Depression. The scramble for skulls and skeletons, poles, canoes, baskets, feast bowls, and masks went on until it seemed that almost everything not nailed down or hidden was gone. The period of most intense collecting on the coast coincided with the growth of anthropological museums, which reflected the realization that time was running out and that civilization was pushing the indigenous people to the wall, destroying their material culture and even extinguishing the native stock itself. Douglas Cole examines the process of collecting in the context of the development of museums and anthropology. The main North American museums with Northwest Coast collections -- the Smithsonian Institution, the American Museum of Natural History, Chicago's Field Museum of Natural History, the Royal British Columbia Museum, and the Canadian Museum of Civilization in Ottawa -- were intense rivals in the race against time.